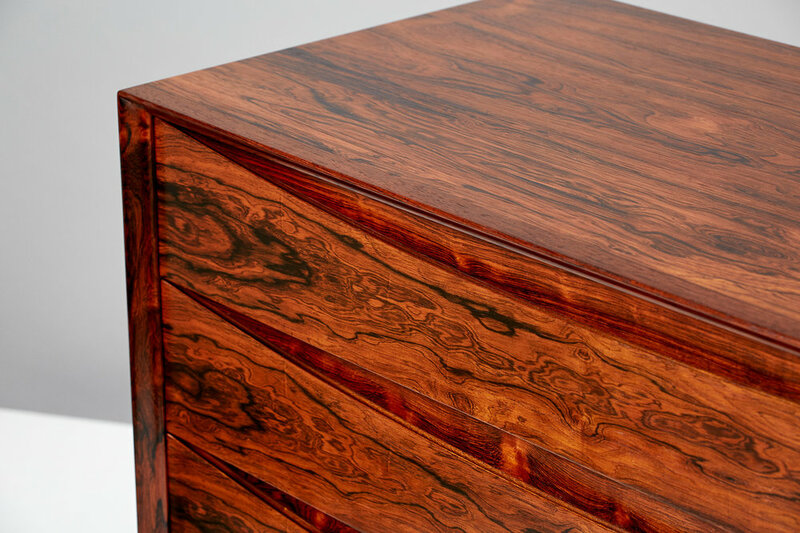 Rosewood chest produced by Sibast Furniture, Denmark. Features Vodder’s iconic and often-copied trademark scalloped drawer pulls. 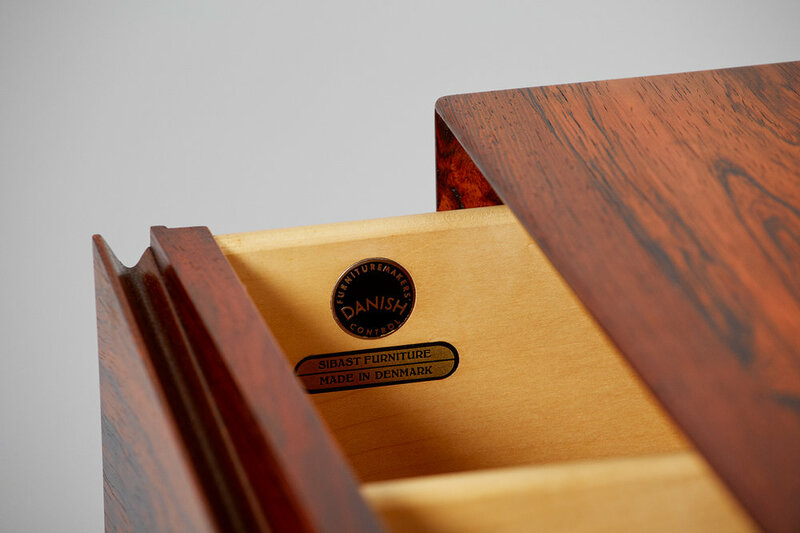 Constructed from solid and veneered exotic grained rosewood. Drawers and dividers made from lacquered beech. Maker’s badge inside top drawer. Minor signs of age to surface.